Happy Chinese New Year from the West Coast! 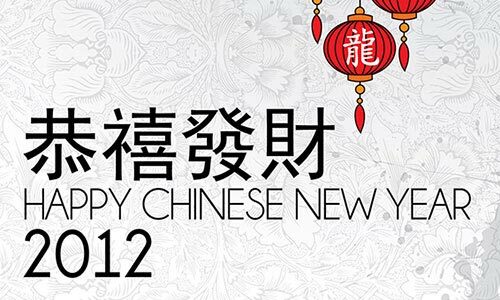 This year is the year of the Dragon, which is a long-standing symbol of power, strength, and good luck in Chinese culture. The dragon is a highly revered creature to the Chinese, and for the same reason, many Chinese see it as highly auspicious to have children in this year. Every Chinese New Year, it’s common to see the Lion Dance and Dragon Dance – which are choreographed performance by people in life-size puppets modeled as Lions and Dragons respectively. Some people mistake the Lion Dance as the Dragon Dance, where they are 2 separate things. At the moment I’m in Los Angeles, and traveling over to San Francisco later today. I’ve heard a lot about the large Asian community in San Francisco, and the amazing vibe of the city, and can’t wait to check it out for myself. 😀 It’s definitely going to be fun, for sure. Will share pictures as I take them, via Facebook – To those of you who have been following me on Facebook – you know the drill! After San Francisco, I’m probably returning to Singapore. It’s been a while (over 7 months, but hey – who’s counting? ), and I can’t wait to see how things have been back home. Because of the myriad of experiences I’ve been in since I’ve been away, first in Europe, then going to US, I’m expecting a reversal culture shock when I return. Mainly having to adjust back to the climate, the societal norms, the culture, and the way of life. No thoughts on how that’s going to be, but I’m interested to see how it’s going to unfold.